Crisis – the national charity for single homeless people across the UK – will be holding a special concert event at the Eventim Apollo in Hammersmith, London on Friday, December 20th. 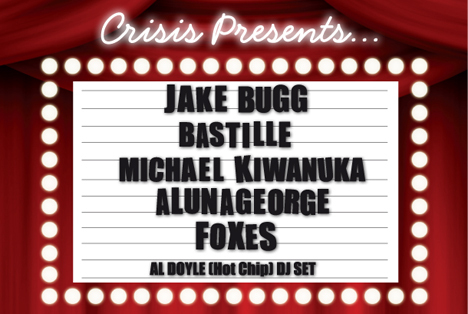 “Crisis Presents…” will be hosting a special concert with UK artists featuring Jake Bugg, Bastille, Michael Kiwanuka, AlunaGeorge, Foxes, and Al Doyle from Hot Chip doing a DJ set. Also planned is a special performance by singers and musicians from their London Skylight centre. 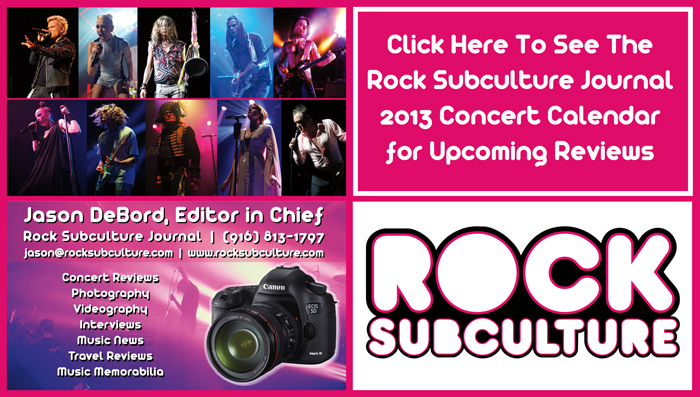 The Rock Subculture Journal will be covering this event, and covered the two “Hidden Gigs” in Liverpool and Newcastle Upon Tyne organized by and benefiting Crisis back in 2010.